Science is a process we use to obtain knowledge. It is about unwrapping beliefs to find truth; unraveling knots to find order. Science, at least in the past, has also shared much with philosophy, that other strategy to find truth. If you have ever studied philosophy, you will certainly have read the works of some of the greatest minds in history, including perhaps the great English empiricist John Locke. If so, what might be less well known to you is that this 17th century philosopher was also a physician and a scientist. Indeed, in his masterwork, An Essay Concerning Human Understanding, Locke discusses the status of our scientific and medical knowledge and even strays into the realm of pharmacology, when he talks of the action of common drugs. And he goes on to say that such things ‘would be then perhaps no more difficult to know than it is to a smith to understand why the turning of one key will open a lock, and not the turning of another’. Locke, like his contemporaries, had a highly structural and mechanical view of biology, but writing in 1690, he laments over the state of his ignorance. He could not see the workings of the cell or of chemical structures the way his ‘watchmaker’ could see the wheels and cogs of his timepiece. And while he could dream of being a locksmith, opening the secrets of biology, he knew that his state of knowledge was nowhere near sufficient. In order to gain this knowledge, Locke was also realistic about what needed to be done. ‘it is ambition enough to be employed as an under-labourer in clearing the ground a little, and removing some of the rubbish that lies in the way to knowledge’. Discovery is as much about the under-labourer as it is the master builder. Locke knew this and so does every scientist worthy of the name. It took a whole construction team working over three centuries for us to answer even one of Locke’s questions: how does opium make us sleep? All Locke and his contemporaries knew was that they had consistently observed that it did induce sleep, unless, of course, too much was administered when that sleep would become certain death. To answer the question, we would first need to understand what the chemical components of opium are, we would have to appreciate that one of the principal components is the molecule morphine and this would not be discovered and characterised until it was isolated in a French laboratory in around 1804, a century after Locke’s death. But identifying and knowing the structure of the principal active ingredient, and therefore ‘the particles of…opium’, only takes you part of the way to solving the problem. We would also have to know ‘the particles of…a man’. This means we would need an appreciation of cellular structure and to have developed the receptor theory of drug action. The latter would take us to the 20th century to formulate. Finally, we would also have to understand enough neuroscience to appreciate the impact of opiates on the brain’s higher centres. We are no longer ‘content to be ignorant’, nor should we be, but there are still questions today as unanswered as those in Locke’s world. We may know how opium makes us sleep, but we do not fully understand how to treat diseases such as cancer and Alzheimer’s. 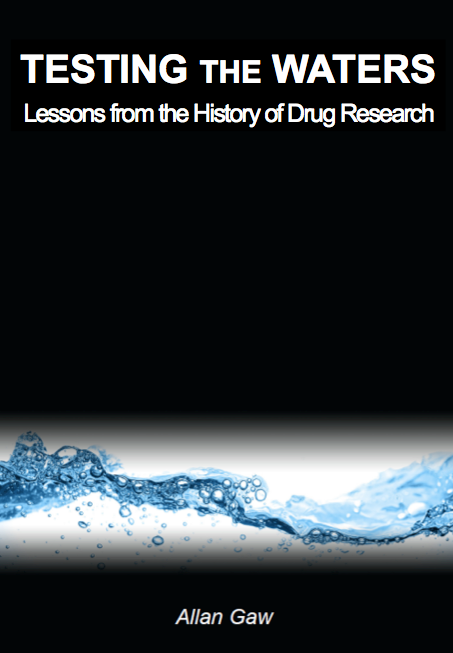 We have come a long way in three centuries, but we still have a way to go in understanding drugs and the body they affect in all ‘their minuteness’.